It's been a crazy busy past few weeks! I always think I'm tired at the end of the school year...and then back to school season happens and...wow! 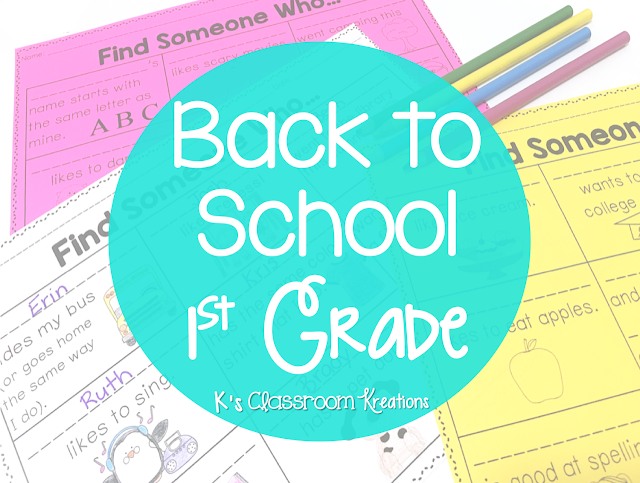 I'm going to share a few of our new favorites so far and what's been going on in my first grade classroom. Disclaimer- this post contains affiliate links which means that I earn a small amount when you make purchases (at no extra cost to you). However, my promise to you is that I am only sharing my honest opinions and I will never promote something I do not believe in. The biggest success during our math time were number puzzles. I simply bought a bunch of 100 piece puzzles from Dollar Tree and numbered the pieces 1-100. The most complicated part was finding the time to put them together first! I am storing each puzzle in a zipper pencil pouch. I also cut the main image off of the puzzle box and put it in the pouch so they know what they are working towards. 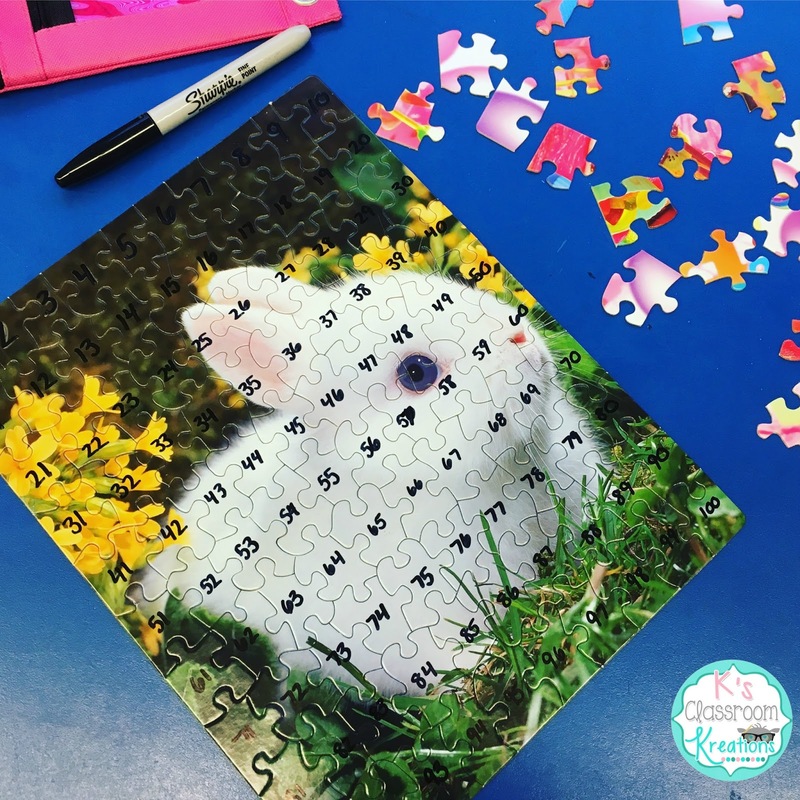 Each day during arrival and math center time my kids have been building number sense skills by putting these puzzles together. I was surprised last year with how many of my students had never put a puzzle together before so in addition to practicing counting, they are also increasing spatial awareness. I think I will also get a few with less pieces so they can be completed quicker. Even my students who struggle with numbers are getting better at recognizing the order. Most importantly, they LOVE the puzzles and are so engaged and focused when working on them. We are continuing our getting to know you activities by playing Find Someone Who games. Even though we've practiced learning names since the beginning of the year, it never hurts! Plus, they are learning how to write and spell each other's name. I like having my kiddos learn about what they have in common with new classmates and fun facts. We also began literacy rotations this week now that I have some more of their baseline data. I use Words Their Way for our spelling/word work, and Daily 5 as my framework for our literacy block. Guided reading groups have an ocean animal theme and WTW has colors. 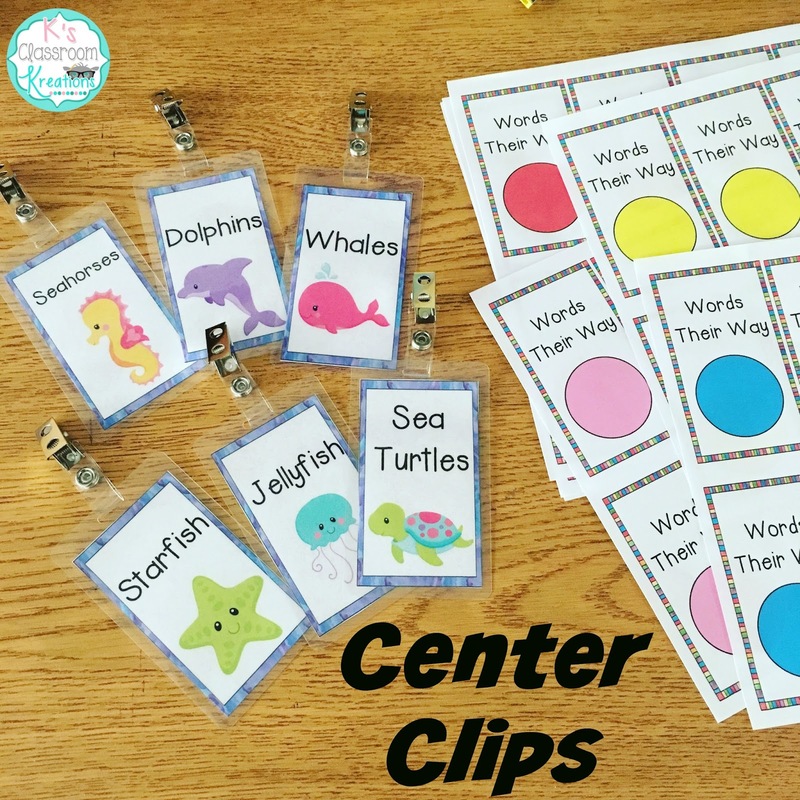 Because I have two sets of groups, I decided to make center clips to help them remember which groups they are in. I used Scotch Thermal Laminating Pouches and printed/cut out little pieces of paper to put inside each clip card. I love these mini laminating sheets! (Side note, I also made student computer password cards and lunch number cards and laminated them too because they are so durable.) To save the step of laminating they also have Vertical Name Tag Holders that could work the same way. I also bought Badge Clips to attach them with. My students love to wear their clips and I often catch them with them on later in the day just because. It's the little things in first grade that excite us! We also introduced some new reading tools in small group. I have mini magnifying glasses (especially for word work time and searching for spelling patterns), timers, and reading trackers. 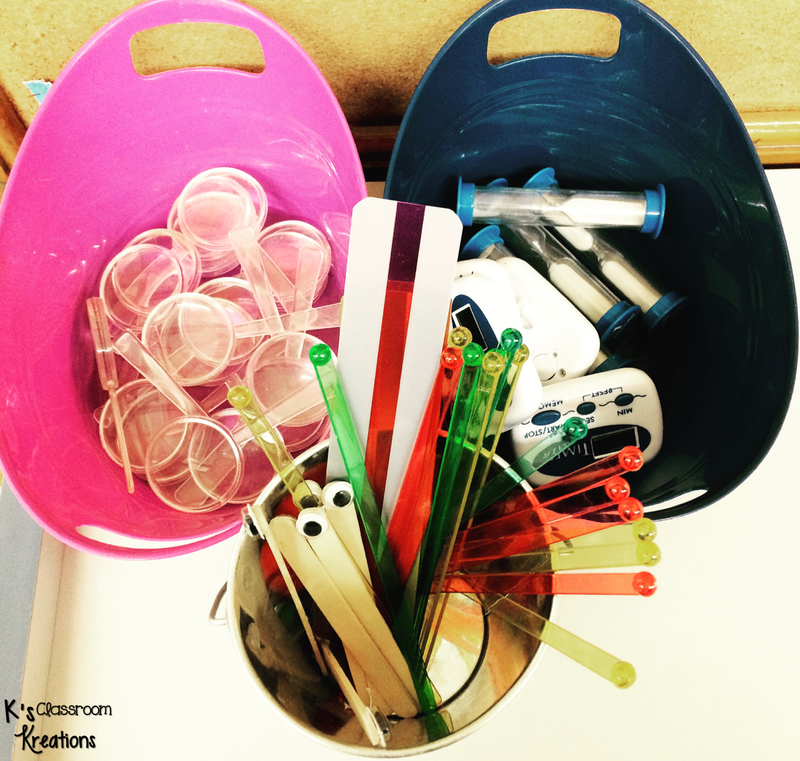 I made some of the reading trackers out of popsicle sticks with google eyes on them. I also found drink stirrers and reading highlighter strips from Dollar Tree. 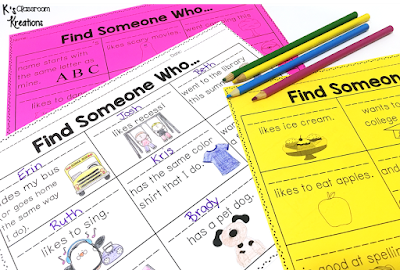 My kids love them and they're really helping with the one to one tracking! 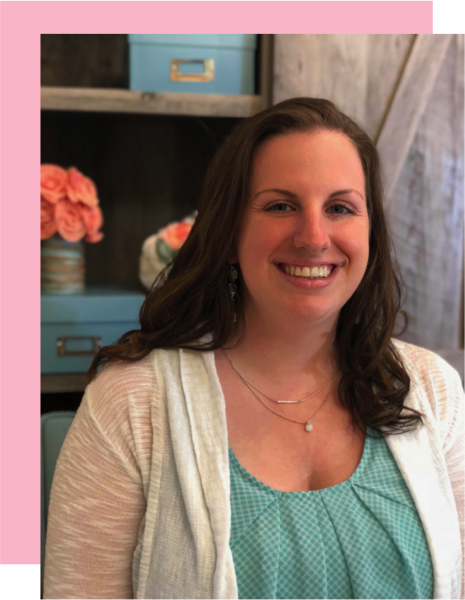 Finally, after a stressful week I have to tell you about my favorite new discovery! The Occupational Therapist that is working with 2 of my Autistic students brought in Mr. Fox, a weighted, lavender scented stuffed animal. Well one of my kids bonded with him instantly! The weight helps ground him and the scent is also calming. Not gonna lie, his EC teacher, Speech teacher, and myself have been caught sniffing the poor little fox a few times! Today I went to Marshalls and found a special section with these Warm & Cosy friends for $13 each. I bought the Frog and Sheep and am going to try them with a few of my other sensory/ADHD students. I think the weight of one sitting in their lap, along with the snuggly feel and scent will really do great things. I'll let you all know how it goes! They are also available online but Marshalls seems to have the best pricing I've seen so far. I love the puzzles idea! Wow! I teach 3rd, and I'm thinking about prepping some puzzles with 4-digit numbers. Or, I could do skip counting puzzles which will help get them ready for multiplication! Thanks for sharing. Great ideas for bumping them up!! Those stuffed animal ideas are great! I am so impressed with the one I'm borrowing so far. Can't wait to show my kids the new ones on Monday.